Dang, I thought I had a short list, but then I found several I misfiled. First, from Paul Sperry at Red State, Days After Comey Firing, McCabe's Team Re-Engaged Fired Dossier Author. Can you say desperate? Two days after then-acting FBI Director Andrew McCabe formally put President Trump under criminal investigation in May 2017, bureau officials reached out to the author of the controversial "Steele dossier" for more information, even though they had fired him for misconduct six months earlier. Text messages and congressional testimony transcripts reveal that McCabe’s “Russia team” re-established direct contact with ex-British spy Christopher Steele to build a case against the president for espionage and obstruction of justice after Trump had fired FBI Director James Comey on May 9, 2017. Comey had previously described the dossier – opposition research alleging Trump-Russia ties that was paid for by the Clinton campaign – as “salacious and unverified.” The FBI had severed ties with Steele in November 2016 due to behavior that convinced his handlers he was not a trustworthy source. Former federal prosecutors and investigators described the move to RealClearInvestigations as "desperate." They also said the FBI’s decision to suddenly re-engage with a discredited confidential source raises fresh questions about the evidentiary grounds on which the FBI opened an unprecedented probe targeting the president. “It suggests that McCabe lacked evidence to make an espionage case against Trump and was desperate to find it — even if that meant going back to the same unreliable source of still-unverified dossier dirt,” former federal prosecutor Solomon L. Wisenberg said. Bongino, Disgraced McCabe Defends FBI’s Use of Steele Dossier in FISA Warrant Application and Chuck Ross at Da Caller, Andrew McCabe Defends FBI’s Use Of Steele Dossier, Confidential Informant In Trump-Russia Probe and a drive by from the Mysterious Mr. Mifsud. “I think everyone was satisfied that we had represented that accurately and adequately in the package,” said McCabe, who asserted that the FISA judges were “obviously satisfied,” since they approved four surveillance warrants. McCabe did not answer a question posed to him by The Times’ Adam Goldman about whether the Page FISAs would have been granted without the Steele dossier. Republican lawmakers have said that McCabe told the House Intelligence Committee that the Page FISAs would not have been granted without each element of a mosaic of information, including the dossier. In his memoir, McCabe also defended the FBI’s use of a confidential informant to make contact with members of the Trump campaign. He also disputed President Trump’s claim that the informant was a spy sent by the FBI to infiltrate Trumpworld. McCabe did not identify the informant, but his description matches closely with Halper, a former Cambridge professor who has worked in several Republican presidential administrations. “I don’t have any recollection of being briefed on the Page application either. And I don’t have a recollection of signing it,” said Lynch in response. Goodlatte then asks Lynch if she recalls signing any of the renewal applications to continue spying on Page. “I don’t have a recollection of being involved in the FISA for Mr. Page at all,” she says. People around the Clintons often suffer convenient memory problems. Sundance at CTH: Judiciary Chair Nadler Delivers Impeachment Groundwork Witness List. Fox, House Dems launch expansive Trump probe with slew of document requests. Fox AP, House Democrats launch aggressive new Trump probe. At WaEx, Byron York: House Democrats send message: Impeachment is on. Since when did we not expect it? IJR, McCarthy Snaps at Dems for Impeachment Talks: ‘Show Me Where the President Did Anything to Be Impeached’ He beat them and Hillary. 'Nuff said. Special Counsel Robert Mueller told a federal judge on Monday about an image Roger Stone posted to Instagram that suggests Mueller 'framed' the former Trump adviser. 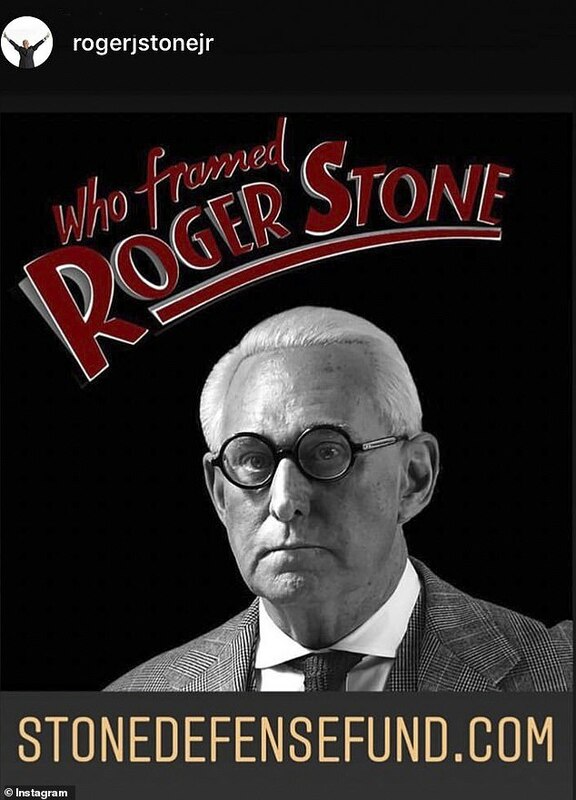 'Who Framed Roger Stone,' it read, mimicking the film poster from the 1988 comedy 'Who Framed Roger Rabbit?' Stone's version was a solicitation for his legal defense fund. Judge Amy Berman Jackson ruled in February that Stone would be permitted to raise money for his defense, and to proclaim his innocence, but otherwise forbade him from making any public comments about his trial on charges of lying to investigators, witness tampering and obstruction of justice. The note about Ston'e Instagram account was an afterthought. Mueller wrote to alert Jackson that a new introduction Stone wrote to accompany the impending release of his book, titled 'The Myth of Russia Collusion,' was available to the public on Amazon com. Looks to me like a permissible attempt to raise money for his defense to me, but I'm sort of a 1st Amendment absolutist. 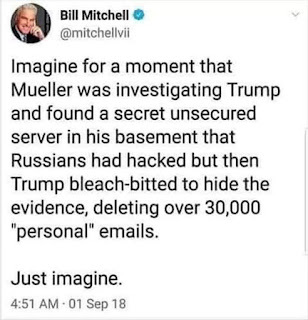 If the Mueller investigation can't withstand some ridicule, they need to quit. John Sexton at Hot Air, New Yorker: Fox News Killed A Story About Stormy Daniels Prior To The Election. 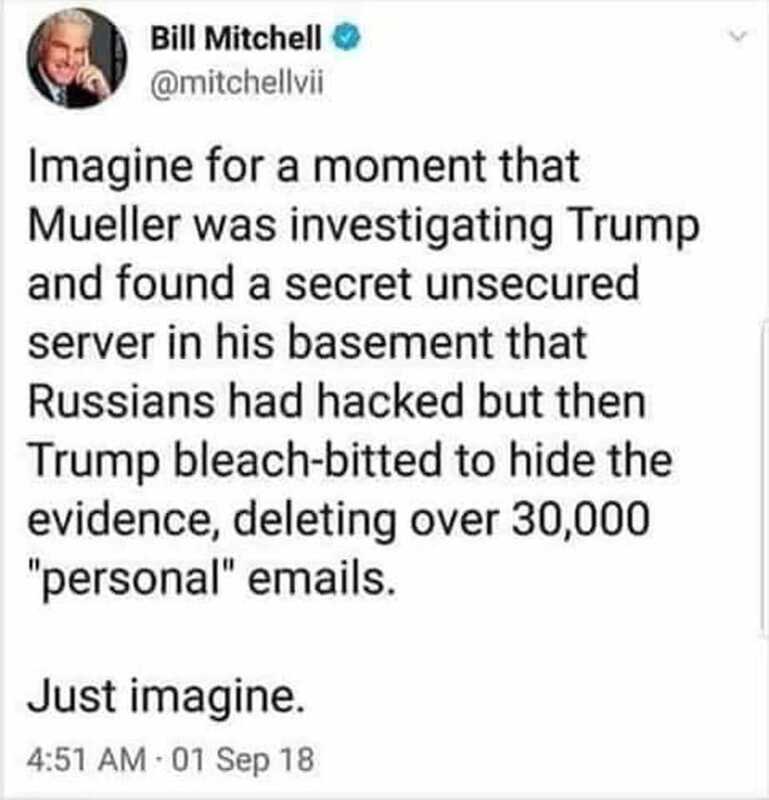 Considering all the stories that all the major networks tried to bury about Clinton and Obama, I'm not going to get too bent out of shape about this one. Besides, it didn't work. That fall, a FoxNews.com reporter had a story that put the network’s journalistic integrity to the test. Diana Falzone, who often covered the entertainment industry, had obtained proof that Trump had engaged in a sexual relationship in 2006 with a pornographic film actress calling herself Stormy Daniels. Falzone had worked on the story since March, and by October she had confirmed it with Daniels through her manager at the time, Gina Rodriguez, and with Daniels’s former husband, Mike Moz, who described multiple calls from Trump. Falzone had also amassed e-mails between Daniels’s attorney and Trump’s lawyer Michael Cohen, detailing a proposed cash settlement, accompanied by a nondisclosure agreement. Falzone had even seen the contract. But Falzone’s story didn’t run—it kept being passed off from one editor to the next. After getting one noncommittal answer after another from her editors, Falzone at last heard from LaCorte, who was then the head of FoxNews.com. Falzone told colleagues that LaCorte said to her, “Good reporting, kiddo. But Rupert wants Donald Trump to win. So just let it go.” LaCorte denies telling Falzone this, but one of Falzone’s colleagues confirms having heard her account at the time. . . . The Wombat has Rule 5 Monday: Komi-san Has A Communication Problem and FMJRA 2.0: Four Wheel Drive ready and waiting.